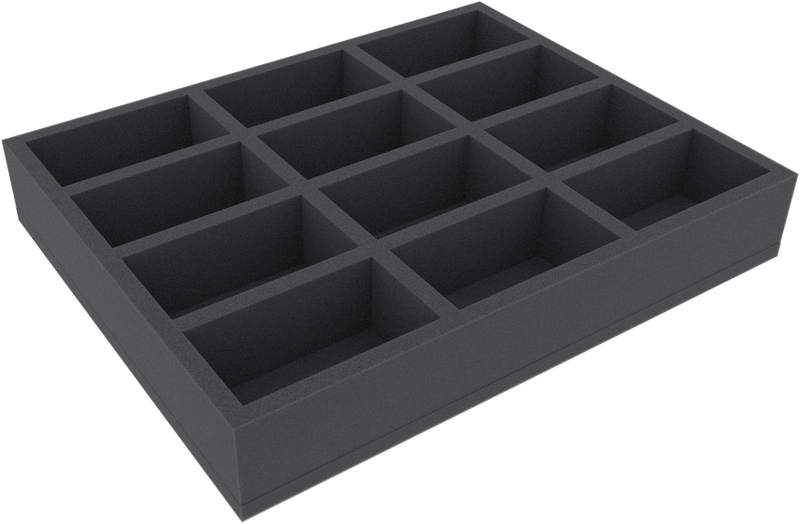 This Full-Size foam tray is divided into 12 compartments. 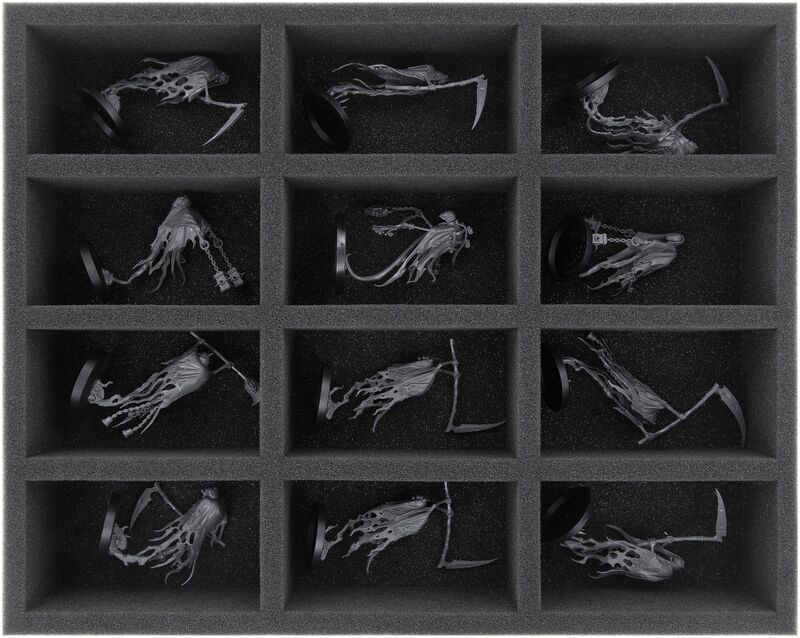 It allows you to store your Warhammer models neatly and securely. Sensitive parts of the figures are protected from damage and the painted miniatures are preserved. 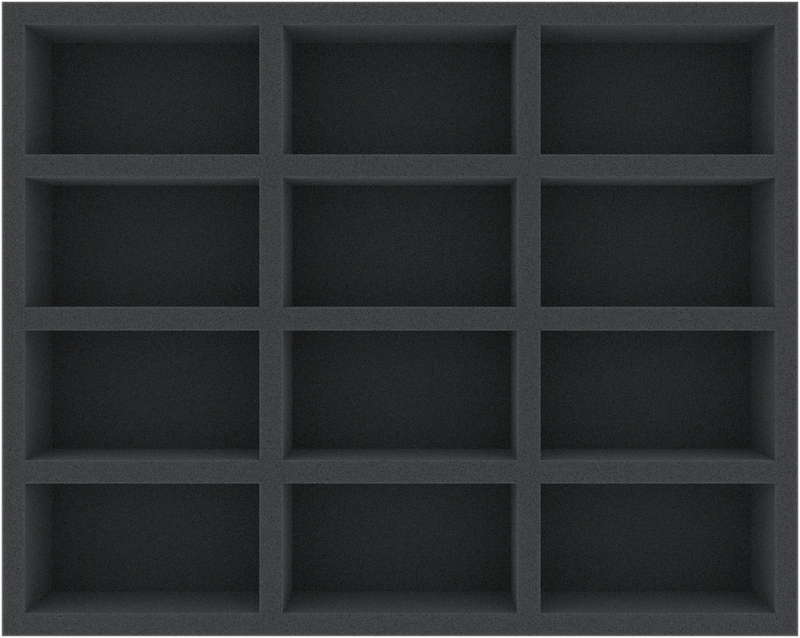 Each of the 12 compartments is 101 mm long x 56 mm wide x 45 mm deep.